Though breastfeeding is widely recommended for babies, moms nursing in public often find themselves under scrutiny. This is especially true when trying to nurse a child within the tight quarters of an airplane. Unfortunately, many airlines do not offer official breastfeeding policies, and as a result, it can be difficult for mothers to know what situations they might run into once they take flight. In order to better inform moms, where possible, this guide presents the policies of major international airlines listed by continent. Where official policies weren’t readily available, it provides information, pulled from outside sources, regarding what it’s like to nurse on an airlines’ flights.
? No policy is listed.
? For more information, contact Emirates Airline.
? For more information, contact Qatar Airways.
? Here a breastfeeding mother recounts her experience nursing on Royal Air Maroc.
? No response to our policy guidance request was received.
? For more information, contact Royal Air Maroc.
? Here a mother recounts her experience on an SAA flight.
? For more information, contact South African Airways.
? NursingInPublic.com presents a response on Air New Zealand’s breastfeeding policy from its PR and social media manager.
? For more information, contact Air New Zealand.
? AirlineTrends.com reports that the airline provides free nursing covers through its Happy Mom program.
? For more information, contact Asiana Airlines.
? Consumerist.com explains that on some flights Japanair provides a special space where mothers can nurse in private.
? For more information, contact JAL Group.
? The airline provides Lactation Rooms at certain airports.
? No official in-flight breastfeeding policy.
? For more information contact Malaysia Airlines.
? PhDinParenting.com mentions that Qantas encourages nursing mothers to do so during take off and landing.
? For more information contact Qantas.
? For more information, contact Singapore Airlines.
? For more information, contact Virgin Australia.
? For more information, contact Air France KLM. 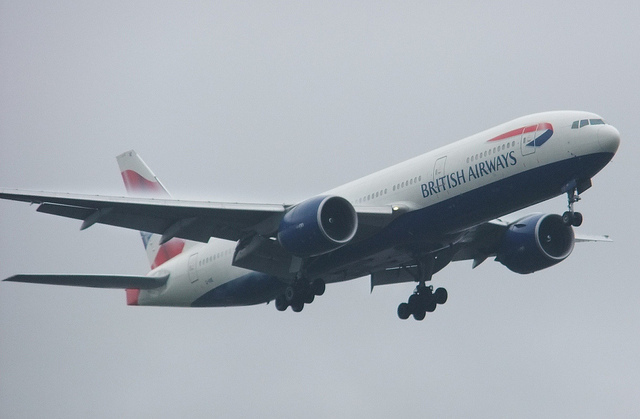 “British Airways is fully supportive of a mother’s choice to breastfeed her baby, when traveling with us – therefore you do not need to ask the cabin crew on your flight if you are allowed to do so. You are also welcome to breastfeed during take-off and landing if necessary, as long as both yourself and your baby are wearing your fastened seat belts.
? In this forum, a mom reports nursing her child on a Flybe flight during takeoff and landing and doesn’t report having any problems.
? For more information, contact Flybe.
? Per this response via Twitter, Icelandair welcomes mothers breastfeeding on their flights.
? For more information, contact Icelandair Group.
? According to PhDinParenting.com, Lufthansa requests that mothers use a cover when nursing their child.
? For more information, contact Lufthansa.
? Via the Babyworld forum, a mom reports having nursed her children on several Ryanair flights without any problems.
? For more information, contact Ryanair. “We do not have an actual breastfeeding policy in itself. The rules on SWISS would be the same as in daily life. It is in order for mothers to breastfeed discreetly at their seat. Should the fellow passengers in her immediate vicinity object to this, the Maître de Cabine may request mothers to please move to the galley or any other more secluded part of the aircraft.
? A commenter in the Moms4Moms.com forum says flight attendants advise mothers to nurse during take off and landing.
? For more information, contact Turkish Airlines.
? In PopSugar’s Circle of Moms forum a mom reports breastfeeding her child on a Virgin Atlantic flight without any problems.
? For more information, contact Virgin Atlantic. *We’ve reached out to these airlines to find out more about their policies and are awaiting their responses.